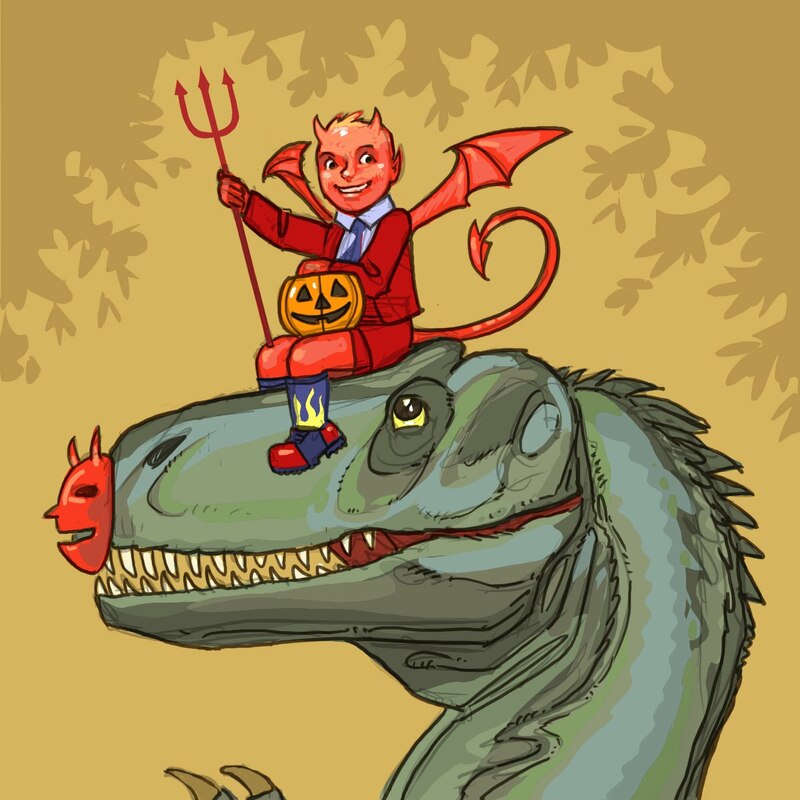 Here is a picture of the Hallosaurus with his hero, The Devil You Know. They are out to cause some serious Halloween mayhem. Felonies, misdemeanors, pranks, you name it, they are going to do it. Watch out. A new story starts next week. But while we're here in between stories, let me ask all of you for some favors. I could use your help out here on the internet. If you have bought any of my books, please leave a review. THE TWELVE BOTS OF CHRISTMAS is headed into the holiday season, and right now it has zero reviews on Amazon! If you've read the book, please help me out and post your thoughts on it. Same with ANIMAL HOUSE--heck even CALAMITY JACK has only 15 reviews! Take a second, it doesn't need to be a book report, just a few lines, I'd REALLY appreciate it. As Smokey the Bear says, "Only YOU can prevent the death of the picture book industry." there ya go; reviewed Devil, Yellowbelly, Rapunzel, and Jack. Haven't read Animal House or Bots yet, as I can't get them from my library at this point. I read Twelve Bots of Christmas when you posted it - does that count? Nathan, I'm writing a review of Animal House and Jon Agee's Mr. Putney's Quacking Dog on Pink Me and I wondered if I could use the Hallosaurus / Devil You Know illustration to perk up the post.